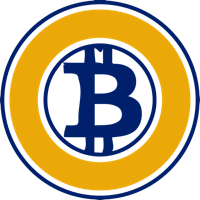 Bitcoin Gold (BTG) is a hard fork of Bitcoin, much like Bitcoin Cash was in back August 2017. It was developed to be ASIC resistant, brining back mining to PC owers. This has been achieved by using the Equihash alogrithm, instead of Bitcoin's SHA-256 algorithm. Visit our full bitcoin gold mining calculator.